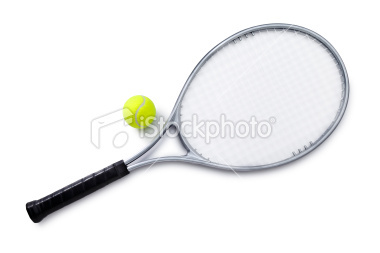 If you’re like most Tennis Warehouse customers, you already have an idea of the type of racquet you’re seeking. You want to upgrade from your current racquet - maybe you’re seeking more power, more control, more comfort... or a little of all three. 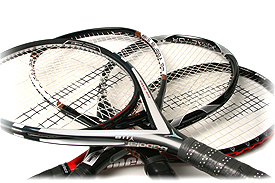 Whatever your reason(s) for purchasing a new racquet, you have some basis on which to make your decision. Then again, you may not have a clue as to which racquet is best for you and are simply motivated by a review you read. Add to the confusion the shear amount of racquets available and choosing the right racquet becomes pretty daunting! To make this process a little easier, here’s a primer on racquet characteristics and how they affect performance. We also suggest you read our racquet reviews where you’ll find detailed information from real tennis players on how a specific racquet performs on-court. Our Racquet Technologies section includes explanations and illustrations of racquet technologies and materials, such as nCode, Hot Melt, Liquidmetal, and F.I.R.E., to name a few. Finally, our General Racquet & String Terms provide definitions of terms that are used throughout our website to describe racquet and string performance.